My quest for interesting libraries sometimes takes me to the furthest regions of a city. In Taipei, I have to ride the MRT for nearly an hours form the southern neighborhood of Xindian to the northern district of Beitou to see the Xin Beitou Library, and boy is it worth it. 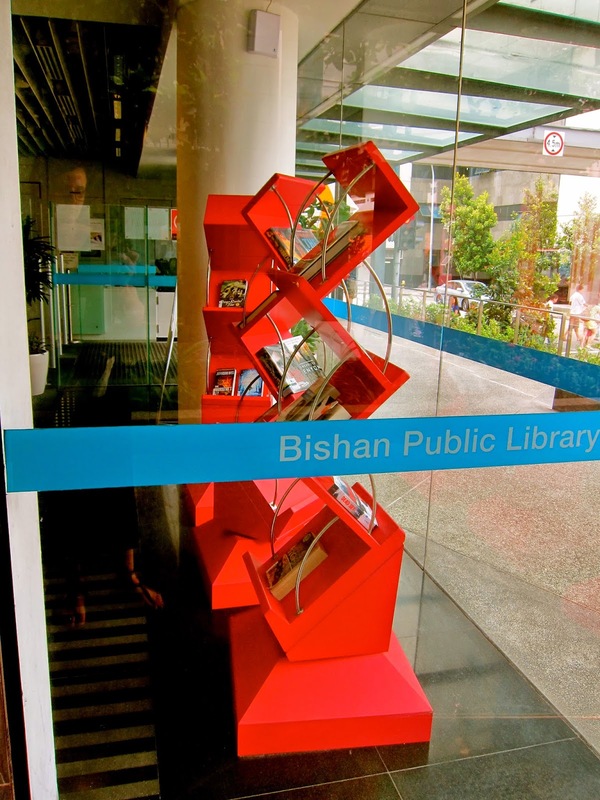 This journey to Singapore’s Bishan library was much the same, a long ride on the MRT to the northern outskirts of the city, to a interesting library in the middle fo a bustling suburb. Unfortunately I showed up on Hari Raji Day, a national holiday in Singapore, so the building was closed. I was looking forward to reading in one of the library’s reading pods, but this time I could only photograph them from the outside.